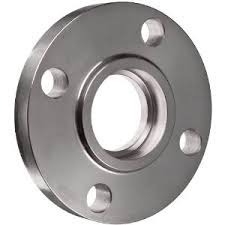 We are a leading Wholesaler of pipe flanges, stainless steel flanges, welding neck flanges, slip on flanges, welded flanges and stainless steel pipe flange from Mumbai, India. Our specifically designated Pipe Flanges are disc, ring or color type extensions which are ideally used in oil, petrochemical and gas industries for blocking off pipeline or attaching more items to the pipe. This sturdily developed flange connects mechanically a pipe to valve, choke and various other piping items. This rectangular and round shaped flange is made from finest grade material ensuring longevity and leak resistant. 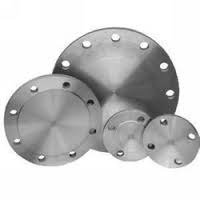 We are one of the noteworthy enterprises engaged in offering superior quality Stainless Steel Flanges. 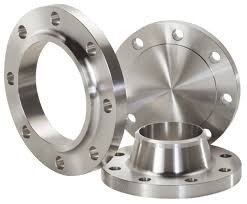 Our professionals bring forth an excellent range of flanges that are manufactured using premium quality stainless steel metal alloy and latest techniques. 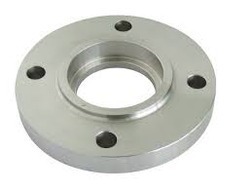 In addition, these flanges are built and developed adhering to industry standards. Furthermore, our professionals opt for strict quality inspection made on the flanges to ensure flawless performance. 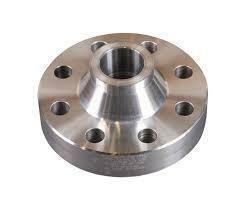 Besides, clients can get the flanges from us in bulk at affordable rates. We are a quality provider of the Slip on flange (SORF) which is widely used establish connection of pipes and deliver maximum level of stability in the functionality of these vital structures. The high levels of mechanical support provided by this product are widely appreciated by our clients and the structural engineers directly involved in the complete process. We provide the leverage to our clients to make the order according to their specifications and requirements. 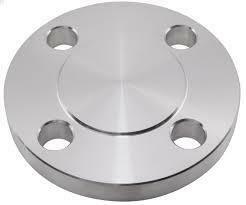 We are one of the renowned stockist and suppliers of a comprehensive range of Stainless Steel Flanges. Widely appreciated for less physical weight, corrosion resistance and reliability these flanges find wide application in Chemical, Refinery and Oil & Gas industry. Our range can also be customized as per the requirements directed by the clients. We offer a comprehensive range of Long Weld Neck Flanges that is suitable for high-pressure, cold or hot temperature applications. 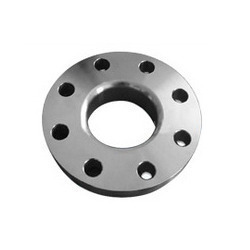 Manufactured using quality material, long weld neck flanges flanges are available in various dimensional specifications and can also be customized as per specific requirement of our clients. 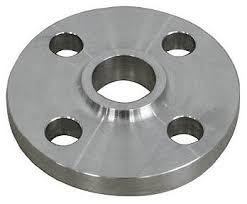 We are amongst the reputed organizations in this business and are involved in providing an extensive quality assortment of Stainless Steel Forging Flange. This Stainless Steel Forging Flange is broadly used in petrochemical industry, oil industry, gas industry and construction industry. In addition to this, we deliver this product in stipulated time. 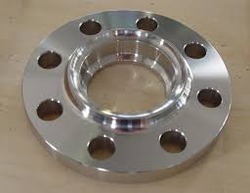 A Stainless Steel Blind Flange Is Round Plate Which Has All Of The Relevant Boltholes But No Center Hole, And Because Of This Feature This Flange Is Used To Close Off The Ends Of A Piping Systems And Pressure Vessel Openings. It Also Permits Easy Access To The Interior Of A Line Or Vessel Once It Has Been Sealed And Must Be Reopened. 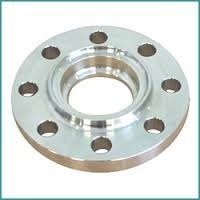 Enriched with years of experience in the industry, we are engaged in offering Stainless Steel Slip On Flange. We work to please our valuable customers with our excellent quality product range. 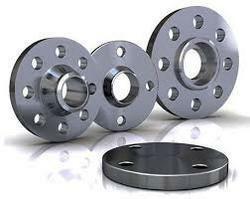 Our Stainless Steel Lap Joint Flanges is perfect in dimension and flawlessly finished. 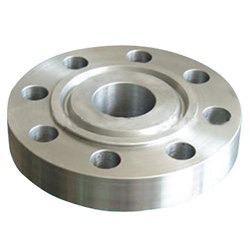 Our offered range of products including Stainless Steel Lap Joint Flanges is obtained after the use of superior quality raw material processed in high advanced machinery and equipments. We have given extra fine finishing to our final product range to attain maximum satisfaction of our clients. Slip On Blind Flanges Hot Product The entire range of Slip On Blind Flanges are manufactured as per required size and material detail. * Making capacity 50kg to 2000kg Blind flanges. 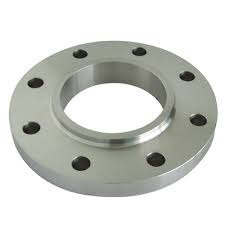 Backed by the support of our experienced professionals, we have been the prominent manufacturer and supplier of a qualitative range of Steel Flange. The provided flange is well-manufactured by our skilled professionals using the best grade steel material and modern technology. We are a leader in Offering a wide range of high performance Blind Flanges, which are manufactured with supreme quality and is maintained by our Quality Control Department to ensure complete customer satisfaction. 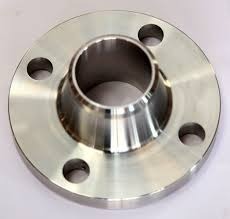 We are one of the leading manufacturers and suppliers of an exclusive quality of Socket Weld Flanges. These flanges are crafted by our skilled professionals using superior quality material in adherence with set industry standards. 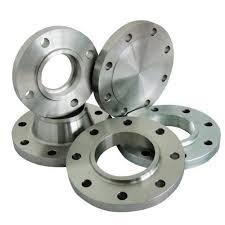 We are instrumental in offering Stainless Steel Flanges, which are developed using optimum quality steel and other material at our vendors' premises. 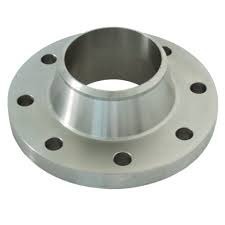 Due to their sturdy construction, these flanges are extensively used for various industrial purposes, further, primarily these are used to connect pipes. 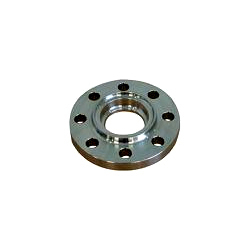 Apart from this, our range of steel flanges is widely used to support mechanical parts. These Lap Joint Flanges are crafted by our skilled professionals using superior quality material in adherence with set industry standards. 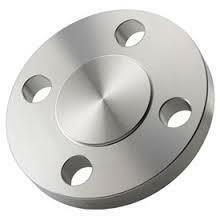 Steel Impex is a renowned name in manufacturing and supplying of Blind Flanges. These are designed and manufactured under the guidance of skilled professionals utilizing quality approved basic material in compliance with international standards. We are a highly acclaimed name in manufacturing and supplying of Slip On Flanges to our esteemed customers. These are available at affordable rates.